I recently bought Sarah Wilson's "I Quit Sugar Cookbook" and I have already made a few really nice fructose free recipes, so I scanned through it and came up with some very interesting cocoa recipes. I chose to make the Choc Berry Mud because my freezer is full of frozen strawberries, blueberries and blackcurrants, a perfect fit for the We Should Cocoa challenge since this month's special ingredient is blackcurrants. The "mud" (as Sarah calls it) came together instantly by blending all the ingredients. It is an easy, fuss free and refreshing dessert for every season. Blend all the ingredients in a blender. Pour into bawls and serve immediately. Βάζουμε όλα τα υλικά σε ένα μπλέντερ και αναμειγνύουμε. Hi Maria. Thanks for entering WSC and saying such nice things about it. I'm just getting the round-up organised now. Your pudding looks delicious. I keep hearing about using avocado with chocolate but still haven't got around to trying it myself. I love the fact this pudding is positively good for you. Interesting to see you've used stevia too. I take it this wasn't in it's leaf form? Thank you Choclette!!! 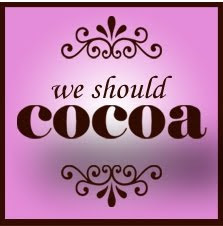 I think WSC is a very nice way to be creative with chocolate and meet food bloggers from all over the world! Avocado is great when making lactose free mousses or puddings because it gives a lot of substance to the dessert. It tastes neutral, as long as it is quite ripe. For this recipe I used granulated stevia which looks like a very fine white powder! 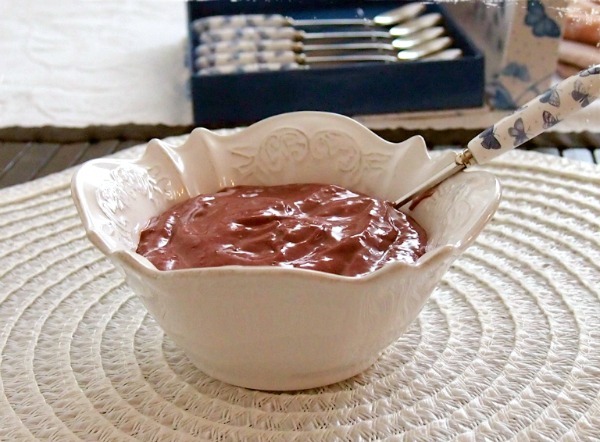 wonderul and a lovely healthy mousse recipe. Love it! oops sorry meant to say wonderful! Thank you very much Rachel. I agree with you. This is a great way to meet so many talented people. I am so in love with your blog !!! Thank you! I'm afraid I don't currently deliver abroad - too expensive and they don't cope too well with the journey! Maybe one day... :) If you're ever around London let me know!